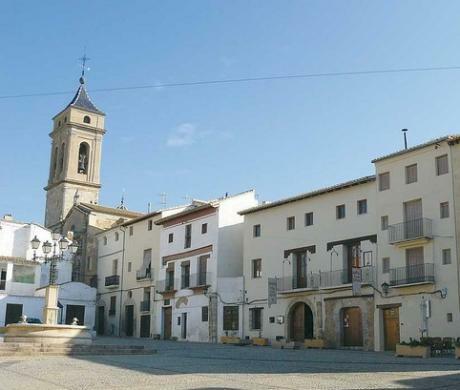 There is great beauty in contrast and nowhere more so than in Requena. Cold winters and cool Mediterranean summers, in the most western part of the Valencia province, have bestowed a unique landscape on its heritage, a reflection of splendour from days gone by. Surrounded by mountains, this town is set on a plateau carpeted with vines, the heart of its economy, although its richness stretches out beyond and along the River Cabriel and its banks, one of the most outstanding features of this area. By motorway: follow the A-3 and take exit 291 to Requena. Alternatively, you could take the N-III and the N232, which are less major roads.